On Tuesday, May 23rd, 2017, Sargent’s Landscape Nursery Inc. will be doing landscaping work in the center median on the 6th Street SW bridge over Hwy 52. 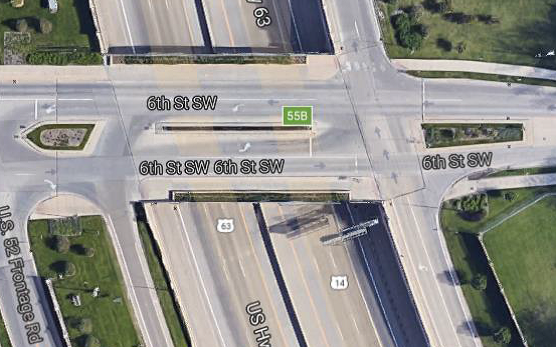 This work will require the traffic lanes on 6th Street SW, in the Hwy 52 overpass area, to be restricted to one lane of traffic in each direction. These lane closures will require the through and turning movement traffic to share the same traffic lane (see attached map). Motorists and pedestrians are advised to use caution when in the vicinity of any work zone. Your patience and understanding is greatly appreciated during this time period.